This is a list I first saw on Rupert Pupkin Speaks. The idea is to list your favorite films from the past year that you saw for the first time, but exclude new releases. This allows much more variety and creates a lot of great suggestions if you read many of them. Family horror is an under-appreciated and under-utilized subgenre. 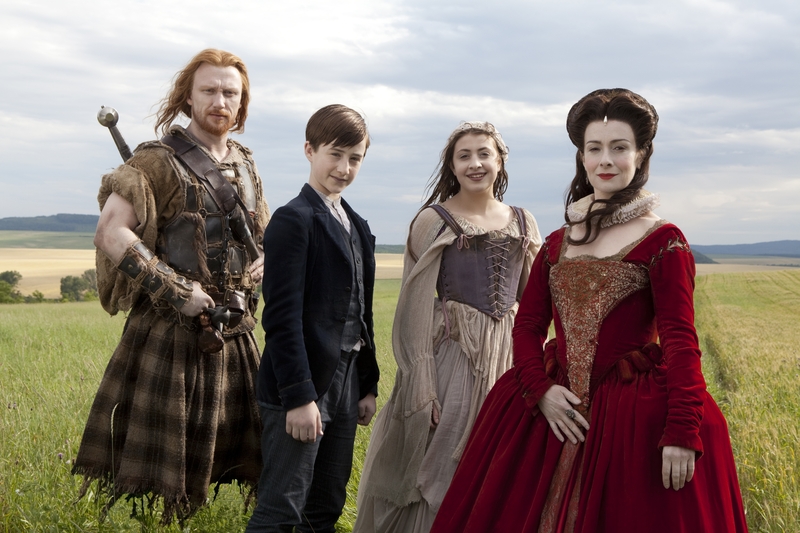 It is usually a delicate balancing act where you have to have elements of a harsher genre keep it true, effective and still palatable for young audiences and hopefully engaging enough for those accompanying said viewers. 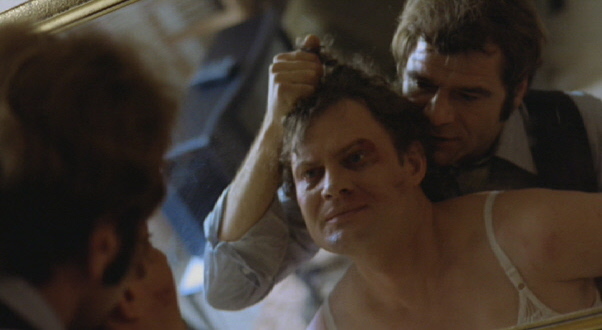 There are definitely different phases to this narrative, and it’s also one that, at least in its backstory does not fear taking things to the scariest place it can for children (death), but also presents a flip-side offers comedy and a strong lead performance by Toby Hall that elevates it above the ordinary. 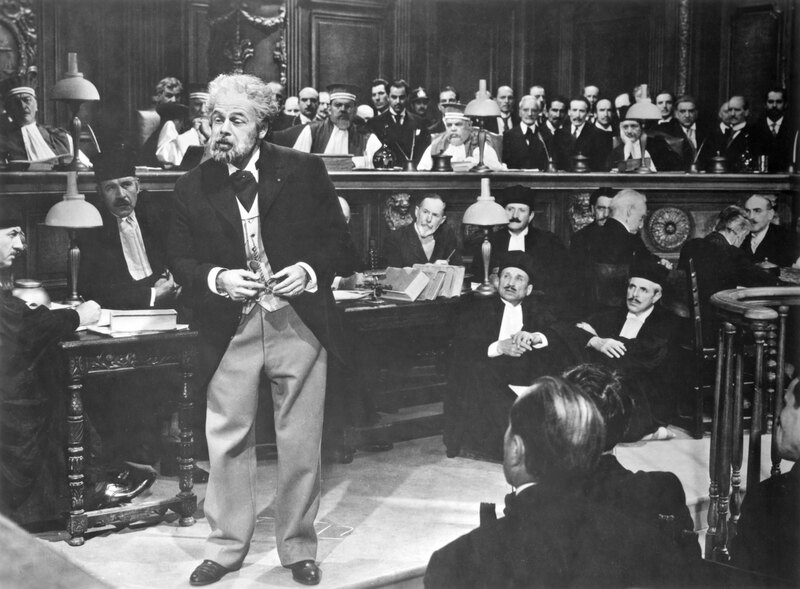 A Paul Muni biopic strikes again, and perhaps he takes an early lead in the Neutron Star Award race for this year. What’s fascinating is that it chronicles a writer’s rise in typical biopic fashion in act one, then a military frame-up at the head of act two and has them smash together and culminate in a riveting courtroom drama. It distills the essential and best elements of a few subgenres to make a riveting and engaging film that surpasses its formulaic and periodic tropes. Caught up in trying to stay current I was vague, so I will elaborate some: as opposed to his rendition of Pasteur, which had its own interesting take on scientific ideals and fear of new ideas; here we have a man who gets comfortable, perhaps forgetting his roots and then in seeing grave injustice lays his life and reputation on the line. It’s a fascinating, as holistic as possible in a two-hour film as it can be, treatment. It owes much of its success not only to the narrative, but also its structure and also Muni. This is the first of the Poverty Row titles on this portion of the list. It’s also one of the more surprising revelations from that theme. As I read and downloaded titles I noted the proclivity for the word phantom in titles. It must’ve scored well in marketing research of the day, it gives an air of mystery and intrigue. Sadly, no film I saw with the word phantom in it had either featured a ghost or been any good. This one at least accomplished the latter and is a highly entertaining tale. It’s not a whodunit so much as a “howdunit” as the perpetrators are revealed early. The film concerns a man who derails a train attempting to make an emergency stop causing many fatalities. 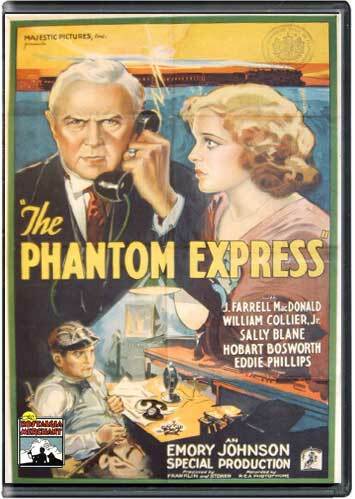 He claimed there was an oncoming train he wanted to avoid, there was no record of this supposed train so it was dubbed “The Phantom Express.” The investigation into the mystery, the repeated incidents, the reveal along with explicatory closing monologue are all great. The effects work, mainly miniatures, may look primitive now, but is well done for the time and budgetary constraints. It’s really captivating stuff. Were my list shorter than it is Fassbinder could have easier dominated it rather than just being a prominent theme, which is why I like allowing this list to bloat as it allows more themes to seep through. However, my increased consumption of Fassbinder titles cannot be denied here. This drama follows the last few days in the life of Elvira (formerly Erwin) Weisshaupt. Years before, Erwin told a co-worker, Anton, that he loved him. “Too bad, you aren’t a woman,” he replied. Erwin took Anton at his word. Trying to salvage something from the wreckage love has made of his life, he now hopes that Anton will not reject him again. It could wander into parody, or the absurd; it never threatens to instead it’s just absolutely gutting and virtually pitch perfect. I believe it was first through Movies Unlimited, when they had brick-and-mortar locations, that I first discovered the Sol Lesser-produced musicals that star Bobby Breen. 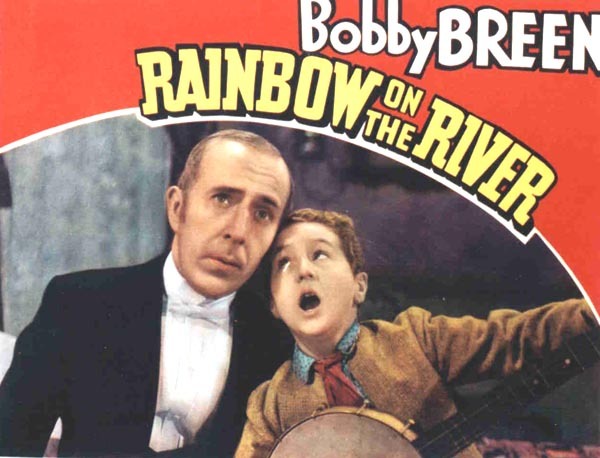 Rainbow on the River, however, is likely the last of them that I can see, as his last outstanding film (Johnny Doughboy) is hard-to-find and overpriced through resellers at Amazon. Fairly often in these films the story was but more than a pretense to get Bobby singing. On the rare occasion both of these combined perfectly. Yes, there’s an uncomfortable postbellum rendition of the south that’s a bit dated, but there’s a predominant fish-out-of-water aspect and fairytale caliber adoptive family that distract from that and get sympathies where the film wants it. The songs are naturalistically instilled and, as usual, brilliantly rendered. This is a film I first heard about years ago when visiting family in Brazil. It’s one I didn’t get a chance to see there and it took a while for it to migrate over and secure North American distribution both in theaters and on home video via Kino Lorber. It’s one that took me even longer to see, I’m a bit embarrassed to admit because of its running time. What you find in this film is an extraordinarily poetic title both in verbal and visual terms that externalizes the inner-workings of the mind extremely well and successfully manipulates time as only film truly can. While it has very internal conflicts it brings them forth, and even while being a very technical “filmmaker’s film” still allows room for the actors to work and drive home the emotions being underscored by the narrative. I’m completely unfamiliar with the written work upon which this film is based and did not find that it’s opaque without having read the book. came to me by way of Stephen King’s list of horror films in Danse Macabre. I have to admit, I chuckled a bit and had some trepidation when I saw that this was a monster movie. After all I’m fairly sure that during the period from which King curated the list (1950-1980) there were other, more well-known giant-monster-attacks-city films; most notably the Japanese brood. 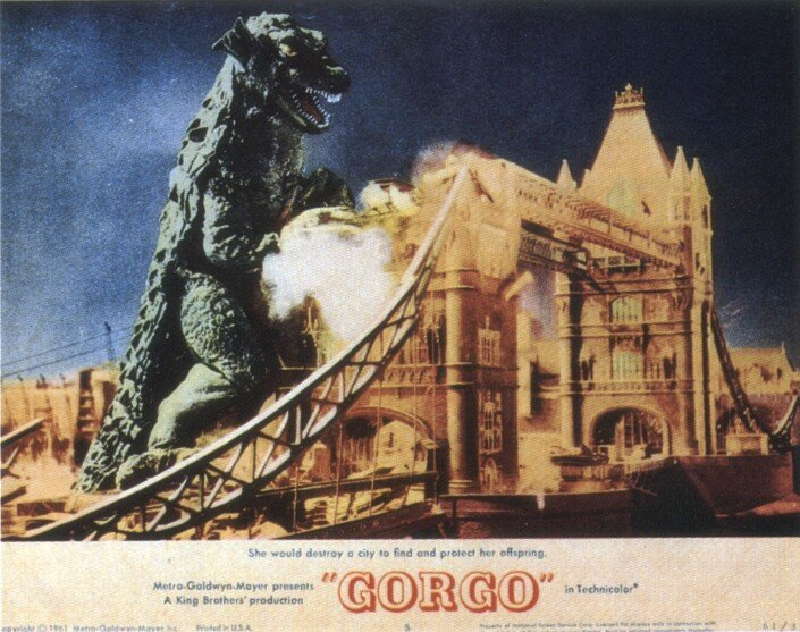 So what makes Gorgo special? I soon realized what it was and it’s not really about the fact that this species of prehistoric beast is discovered off the coast of an Irish isle, but rather the thing the film does in just 78 minutes. There’s a period of time wherein the film is like a proto-Jaws. There is a threat identified and a mostly unseen enemy. There is a plan to try and take it down. What occurs then is a spin on King Kong, which has also been done. One notable example I viewed, that didn’t really work out, was Jurassic Park: The Lost World. However, here it does work because that second twist on the average monster film isn’t the last. It’s also another brisk selection that’s worth looking up. One interesting thing about this title is that after having seen it I discovered it one of friend’s all-time favorite films, which got me thinking about that aspect. Specifically about how some overlooked titles can affect people. Even before I was made to realize and reflect upon that I had before me the film and there were many notable things about that made it stand out to me. Merely being ahead of one’s time is a great in and of itself, however, that alone doesn’t make for a great drama. What’s fortunate is that for this film it has both. 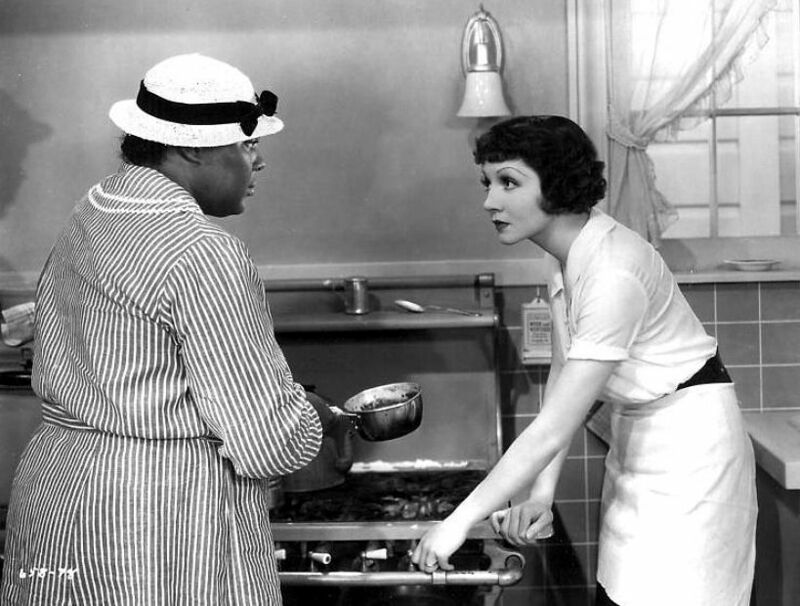 Imitation of Life deals with race about as openly, maturely and progressively as any film of its era – if you can fault it for anything cinematically it’s being slightly repetitious (But it addresses that), in social terms it discusses and even challenges norms. This was considered a dangerous films and Universal was strongly urged not to make it. Not only does it deal with race relations but in having Delilah’s daughter be able to pass for white, it also implies miscegenation, which was at the time one of the biggest taboos there was. However, as I said without a compelling narrative all of the above is just a footnote. Bea’s chance meeting with Delilah snowballs in a very compelling way into a most unlikely friendship and partnership. The trials as single mothers also form dueling subplots that at times are equally compelling. The only knock I thought I had against it was that I wanted more focus on the more unusual plot, but based on the way things play out it is handled properly. This was actually I found in a drug store on Oscar Day in 2012, this was after my having missed this on a TCM broadcast. 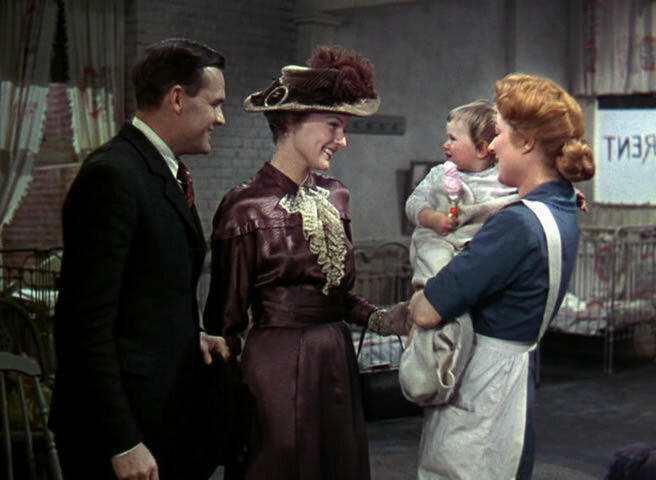 This film is part of Greer Garson’s legendary run of five consecutive Oscar Nominations for Best Actress and six in seven years. Yes, this film doesn’t get away with not having its stump-speeches and it does give a classical Hollywood whirlwind treatment to and elongated tale, but it is so tremendously moving and gorgeous to look at. Watch it for the the acting, watch for Karl Freund working in color and stay for the tale, which when it really has to, when it wants to hit home, holds up just enough. It took me a while to get this one off my to watch pile, but it certainly was a memorable viewing. There are plenty of jaw-dropping moments in the film. I also learned a few things so it has the righteous indignation angle working for it too. 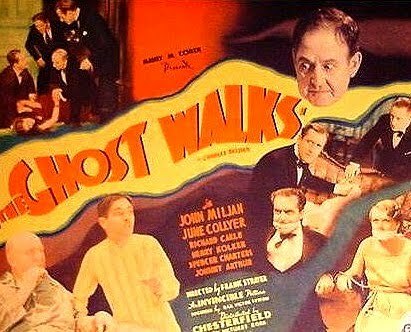 Perhaps the first thing that struck me as a side note is that this is the first of the selections I chose that struck me as being very Pre-Code, though its December 1st, 1934 release date made it after promised Code re-enforcement. Most of that impression has to do with the theatrical producer and his the male secretary, the secretary both in affectation and through dialogue directed at him, is being portrayed as gay – perhaps the biggest code taboo. This all leads me to my second point, which is had the acting not been of such quality, the lines not as well-timed or funny, this film would’ve been ridiculous. Instead it’s one of the funnier films I’ve seen in a while. Granted the horror/thriller portions are intended too and the first act pantomimes a straight horror film excellently, but the comedy is very much by design and laugh out loud funny.